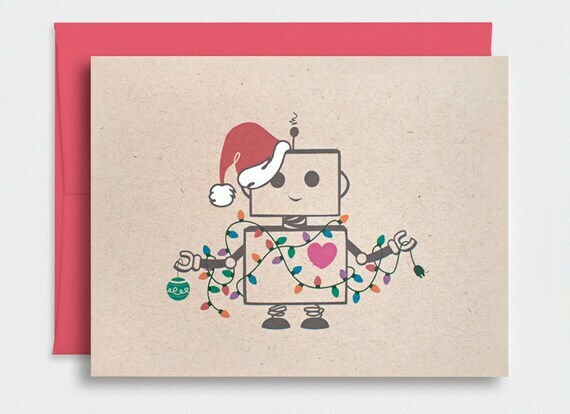 A cute handcrafted robot entangled in Christmas lights...what could be more adorable for the Holidays? Made from 100% post consumer recycled warm light brown cardstock and paired with an ecofriendly red envelope. Santa hat has also been hand painted with white water based paint.